These children are on the move and are becoming more independent. 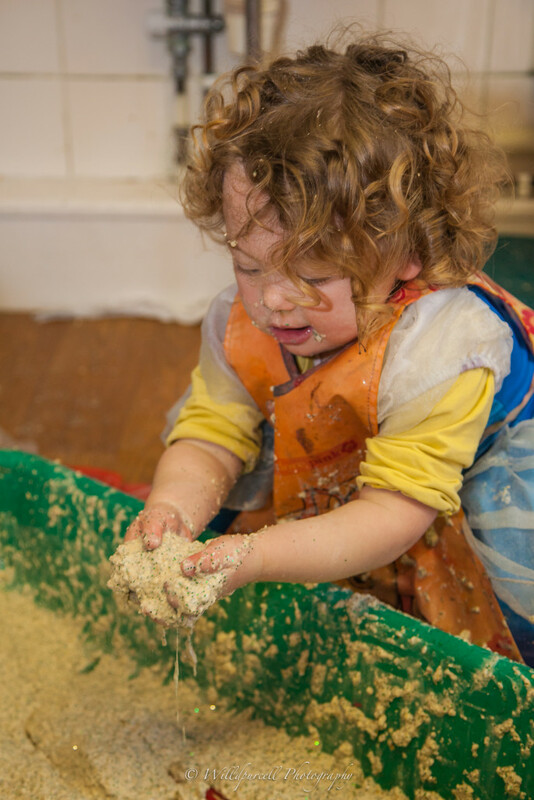 The Fox Cub Room offers a lively environment for children who are developing at an incredibly fast rate and are eager to learn and experience much more. Opportunities for exploration and exercise open up with the child’s increasing mobility. Children’s developing curiosity in their environment contributes to the development of both their coordination and physical abilities. Self-help and independence in eating, toileting and dressing emerges with support from caring adults. Communication skills and a sense of self begin to develop along with the ability to express their needs and feelings. Firstly, a few simple words relating to everyday objects and people are learnt alongside non-verbal communication. These skills grow very rapidly with encouragement and positive interaction with carers. As the children progress through the Fox Cubs Room, the children’s language rapidly develops further and many begin to put sentences together. Children learn from conversations with other children. New idea, new things, past, present and future are all concepts that they begin to explore. Praise from new achievements helps to build self-esteem. The children are encouraged to use the larger garden to explore through general outdoor play. As your toddler develops, they will have the opportunity to practice climbing skills, riding tricycles, bikes, pushing buggies, throwing, rolling and catching balls and enjoying imaginative and creative play in the fresh air. The Fox Cub children are continuing to increase their independence and confidence! The staff plan activities that develop their manipulative and coordination skills with puzzles and games, their creative skills with drawing, painting, sticking, cutting and free expression, their language skills with books, poetry, songs and individual and group discussion. Well maintained and accessible resources which are age appropriate are contained within the Fox Cub Room. Outside opportunities are provided on a large scale and with opportunities to do things in different ways. The Fox Cub children share Discovery Time with the Wise Owls for some of their play time. They have the opportunity and freedom of choice to play across the two rooms as well as the outside area and experience a lot of activities planned for from their interests. We have smaller key group time in the afternoon which is also planned around children’s interests. This is led by your child’s key person.